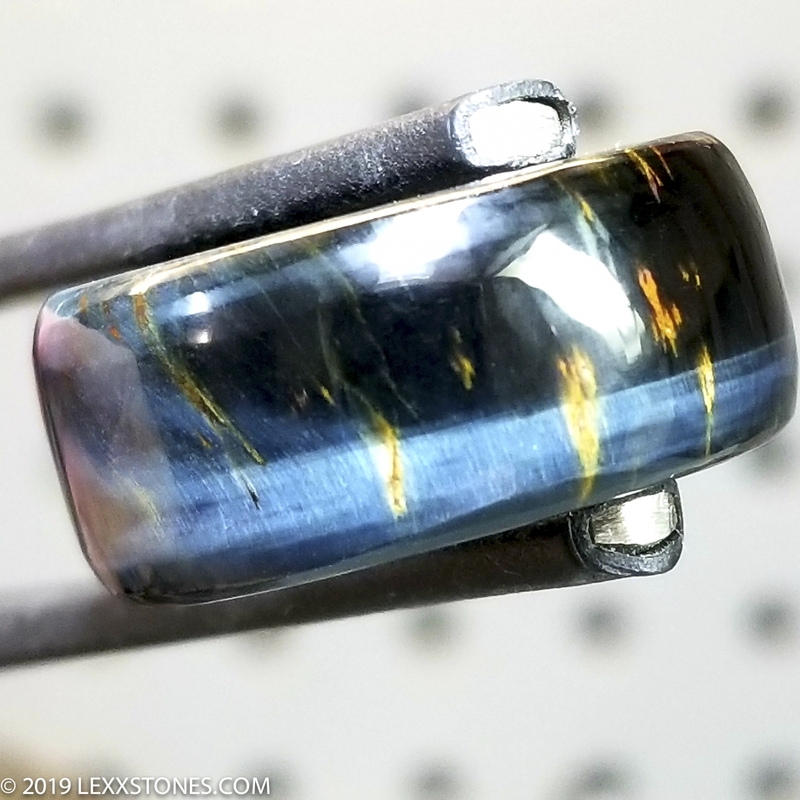 Here for your consideration is a high quality, high chatoyancy, multi color blue African Tiger Eye / Hawk's Eye ring, skillfully hand crafted by yours truly. This gorgeous material exhibits a plethora of electric shimmery vibrant blue flashes. 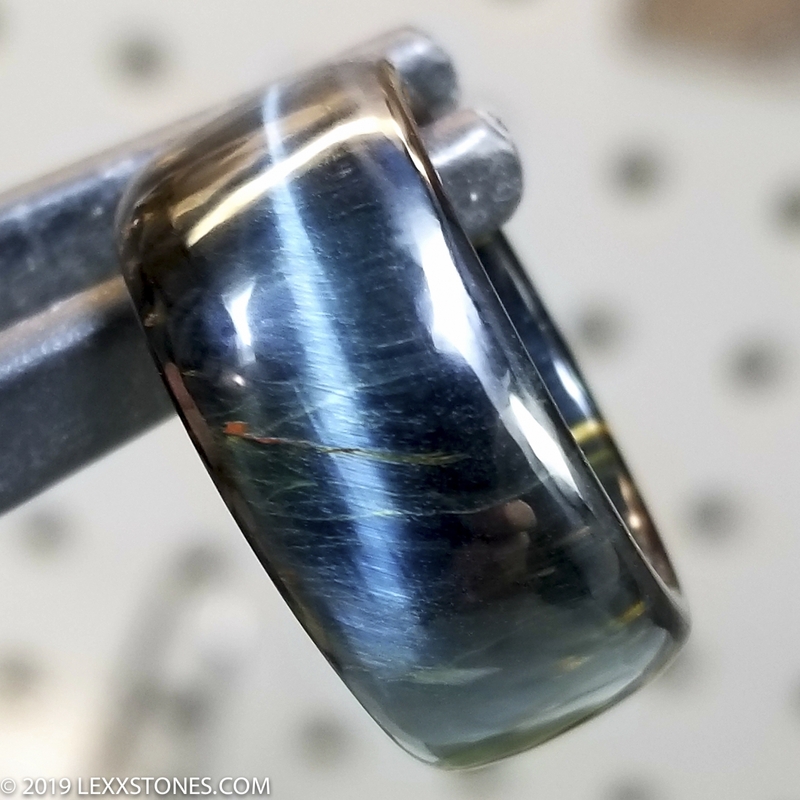 Many of these color patterns dance when the stone is moved under light! The moving random light, sturdiness and mesmerizing chatoyancy makes this a favorite material among pro lapidaries. Natural, untreated and never dyed. Comfort fit inner radius. Delicate outer radius dome. 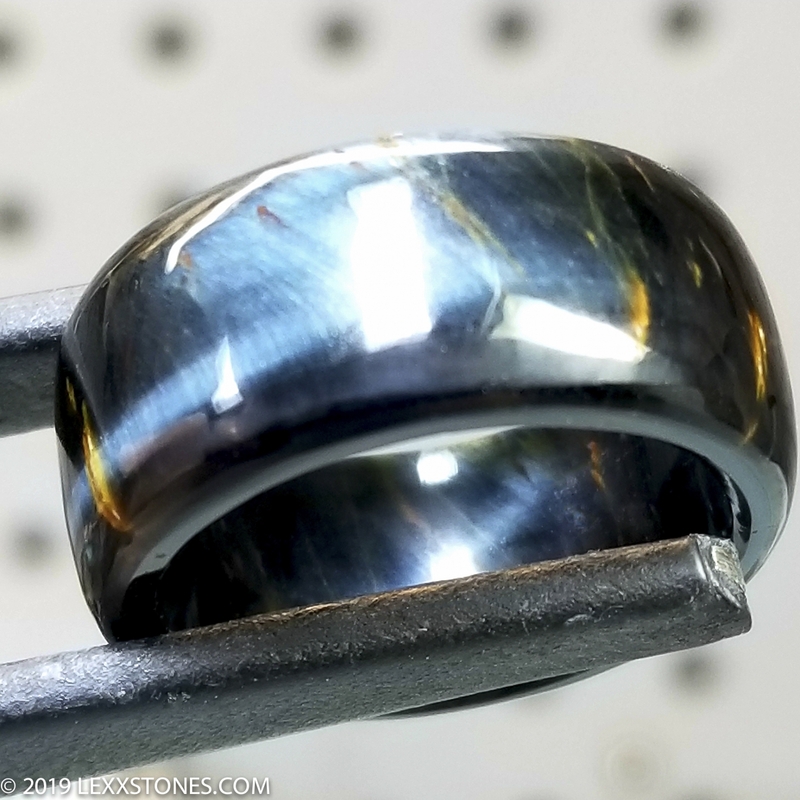 Vitreous polish inside and outside. A perfect heirloom wearable collectible. Light as a feather! 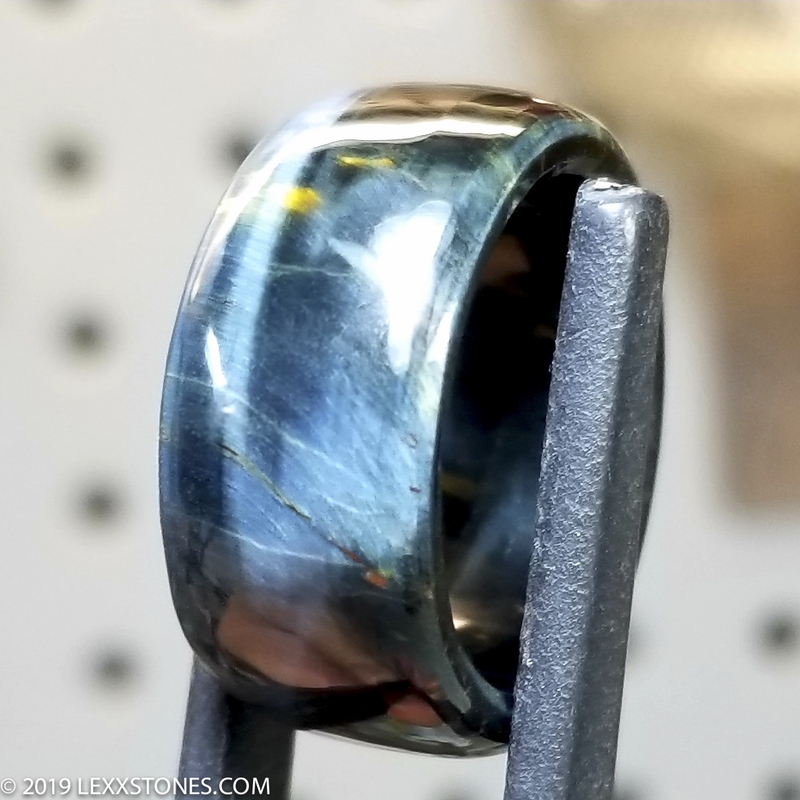 This beautiful stone is in it's natural state. It has not been colored, stabilized or artificially treated in any way. Photos taken dry under full spectrum LED. 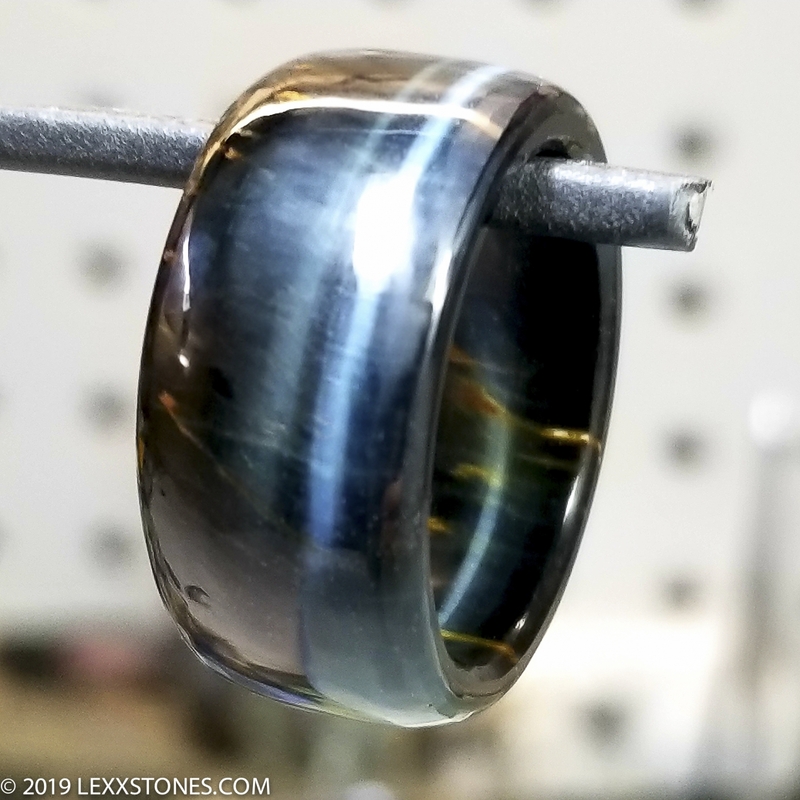 Hand selected, skillfully cut and polished by Lexx. Custom orders welcome - We Love Creative People! Ships USPS First Class within 24 hours of prompt payment. Please inquire if you'd like Priority or additional insurance. Everywhere Else, Standard Shipping Fees Apply. Sales tax applies to New York State residents. International Buyers Will Be Responsible For All Additional Taxes, Duties, Insurance Incurred With This Sale.